With the aging process several morphological changes occur in the human being. The upper limbs suffer a functional decline, beyond the possibility of developing diseases that occur as result of advancing age. All these factors contribute to the decay of functions that are important in the elderly’s lives, depriving some seniors of performing manual actions autonomously. Therefore, assistive technology (AT) devices become an alternative to lessen the effects of aging, it provides means for a more active participation of these individuals in different contexts and everyday situations, giving them access to a more independent life. Thus, the present study intended to gather some devices of assistive technology found in the literature that seek to support manual functions, especially those compatible with the needs of the elderly, and, consequently, assist people to carry out common tasks. To this end, the method used was a literature review in the main databases. The purpose of the review was to analyze the qualified bibliography and to identify the AT devices as potential aid in the performance of activities of daily living, focusing on manual functions. The devices have been classified by type (what parts of the upper limbs they are intended), the functions that enhance and the manual tasks they attend. 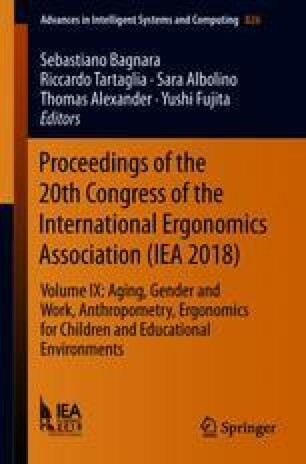 The investigation provided the knowledge of recent studies that address relevant devices with potential in assist the senile population to recover the ability to undertake activities with the upper limbs, especially regarding manual grip and pinch, as well as the limb movement. The authors gratefully acknowledge UDESC (Santa Catarina State University) and CAPES (Coordenação de Aperfeiçoamento de Pessoal de Nível Superior – Brazil) for the financial support.